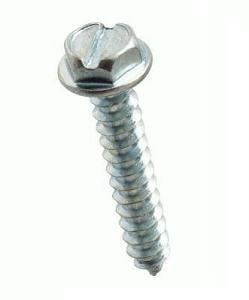 PRODUCT: #14 X 1" 304 STAINLESS STEEL 3/8" HWH SHEET METAL SCREW (SFS #E0600), NO WASHER. 250/Box. Price/Box. CONSTRUCTION: #14, Type-A Sharp Point, Strip-Out Repair, Self Tapping, 304 Stainless Steel. Available Painted as option. Lengths: 3/4 to 8" lengths.